1). Make a Detailed Plan: I may go overboard but I have a whole Excel sheet that shows who I’m buying gifts for, the price, and where and when I plan to buy them. It feels great checking off each one, especially the last one on the list. I know from that night forward I’ll be sleeping well. 2). Have a Backup Gift, Just In Case: I’ve been there, trust me. I put all of me eggs in one basket and when that item sold out at that one and only store I had no idea what to do. For those must-have items (usually for a kid, of course) you should always have a Plan B to nab up an item somewhere else, just in case. Maybe it will be at a 10% premium from Option A, but having that assurance is definitely worth some piece of mind. Along the same lines, have an entire backup gift that you can buy when all-else fails. 3). Get the Inside Scoop: So many salespeople are willing to go above and beyond, be it order an item from a different store, hold something for you, tell you when the next shipment is coming in, etc. Many of them have great insight and can divulge the secrets on when to get the best deals or where to go to get them. 4). Homemade Gifts Aren’t Just For Grandmas: I started getting craftier the last few years and found that I really enjoy making holiday gifts for my friends and family. When I receive something homemade I just adore it, too. This year I’m making holiday spice jars that are pretty, functional, and just festive enough with some pine tied on. When preparing crafts consider making at least five of whatever it is, maybe 10-plus. The cost per item goes way down as does the time to create each one. You can personalize them in a special way if you so desire, another fun step of the process! The amount of money coming and going from me to my family and friends goes up five-fold during the holiday season. From pooling money on a gift to the holiday parties, and of course all of the activities we’ll be doing over the long break. Checks are a thing of the past (thank goodness), and bank accounts aren’t user friendly about these things. I found the Square Cash app to be the perfect way to send a small or large sum of money to just about anyone. In-fact, they don’t even need a Square Cash account. 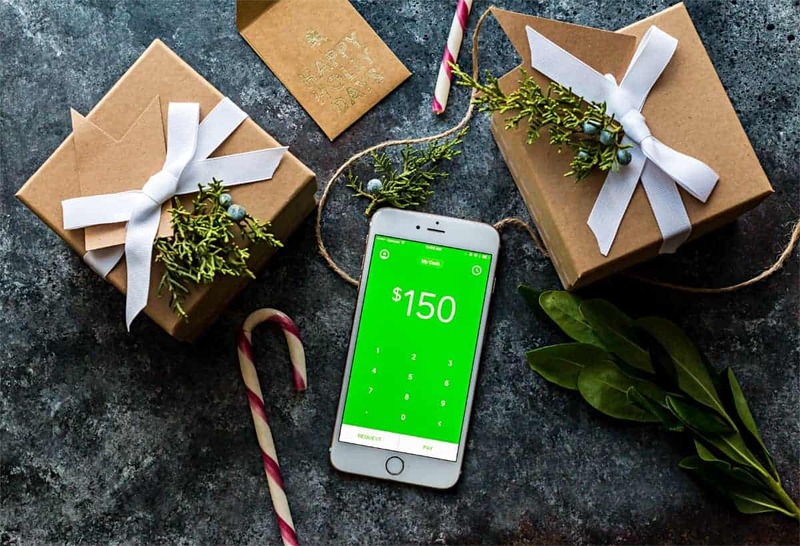 The two things I like best about theSquare Cash App is that I am able to send cash for free, and when I receive it I can transfer the cash to my account immediately. That means I can buy more supplies and get back to making my homemade crafts without skipping a beat! I live abroad and even though I maintain a US bank account, it’s always tricker than it needs to be sorting out money for Christmas gifts, birthdays, etc. I’ve been using PayPal, but I’m not a fan of it, so I’m off to check out Square Cash and see if its something I can use in place of PayPal. Hi Sage, please let me know how it goes with Square Cash. I am here in the US and have been very happy with it, interested to hear first-hand how your experiences are as someone living abroad. I love the idea of homemade gifts. I’ve never received one I didn’t like. I’m usually pretty good at having a detailed list for all of my holiday shopping. It wasn’t until this year that I realized the importance of having a back up gift idea for someone. So frustrating. 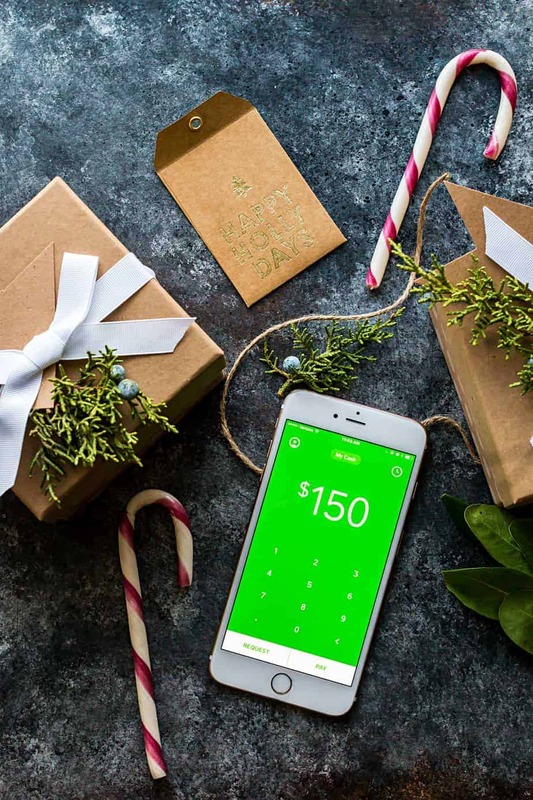 Love the idea of the Square Cash App — I need to check it out! Hey Kristy, that’s too bad. Yes I didn’t really have that as a step in my shopping process until getting burned first-hand. I write down backup ideas with kids especially by getting them talking about “what else they might want?” as I never seem to guess right if I just go it on my own. what a great option. We have family in Amsterdam, getting presents to them is super expensive because of shipping Wondering if we could use this as an option. Great information. Square is new to me, I haven’t tried it before! I think it would be awesome to send money to a friend or a faraway relative using this one. I will have to keep it in mind! Square Cash is the best!! I love them – they’ve made life so much easier with this app!! Now I have to check out Square Cash I’ve never heard of it. I love getting handmade gifts I think they are the best it means people thought about me and put extra effort and care into it.